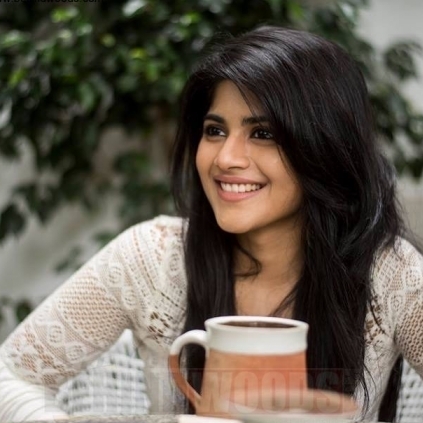 Megha Akash who has completed Oru Pakka Kadhai with Balaji Tharaneetharan is right now busy with Gautham Vasudev Menon’s Enai Nokki Paayum Thotta with Dhanush as the lead. There are talks that she has signed Vikram Kumar’s film in Telugu. When we checked with Megha’s side, it was revealed that the actress is yet to sign the film and that it is in the discussion stage only. However, sources close to Megha confirm that she has signed a Telugu film with Nithin as the hero under the direction of Hanu Raghavapudi wherein her role would be pivotal and interesting. People looking for online information on Hanu Raghavapudi, Megha Akash, Nithin will find this news story useful.